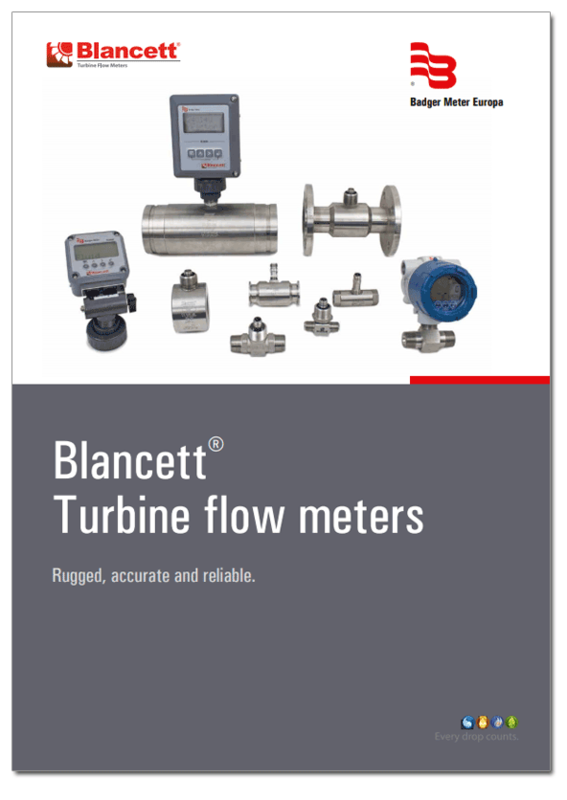 A new clearly structured catalogue for the Blancett® product family of turbine flowmeters is now available for download, including technical data, ordering information and configuration examples. The new Blancett® catalogue contains the whole range of models and accessories with all the corresponding technical data. The catalogue is available on our website , but you can also use the download button below to save the file to your PC. Blancett Flow Turbine are suitable for safe and hazardous are applications, measuring chemicals, fuel, oil, water and gas.